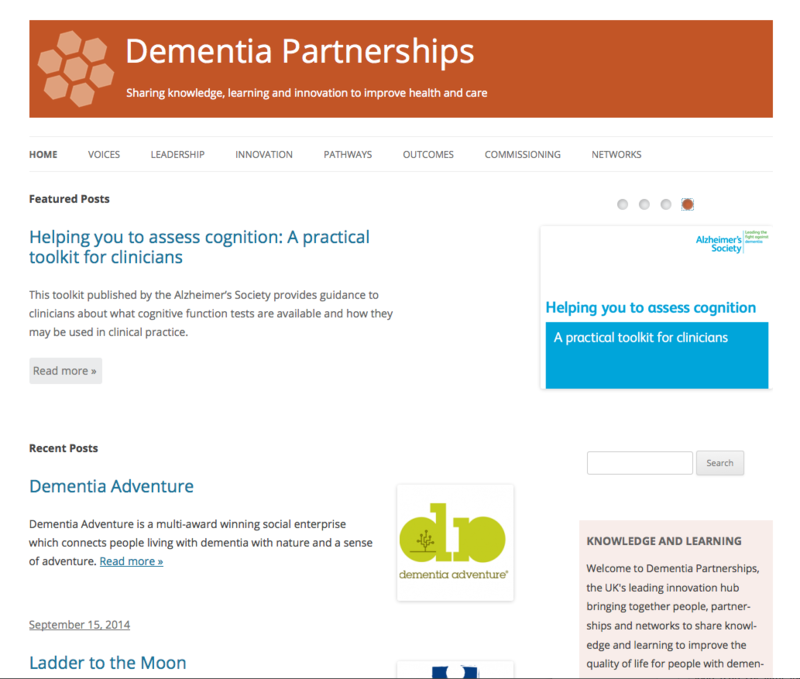 Dementia Partnerships supports clinician led partnerships to accelerate and improve commissioning and service redesign in dementia care. 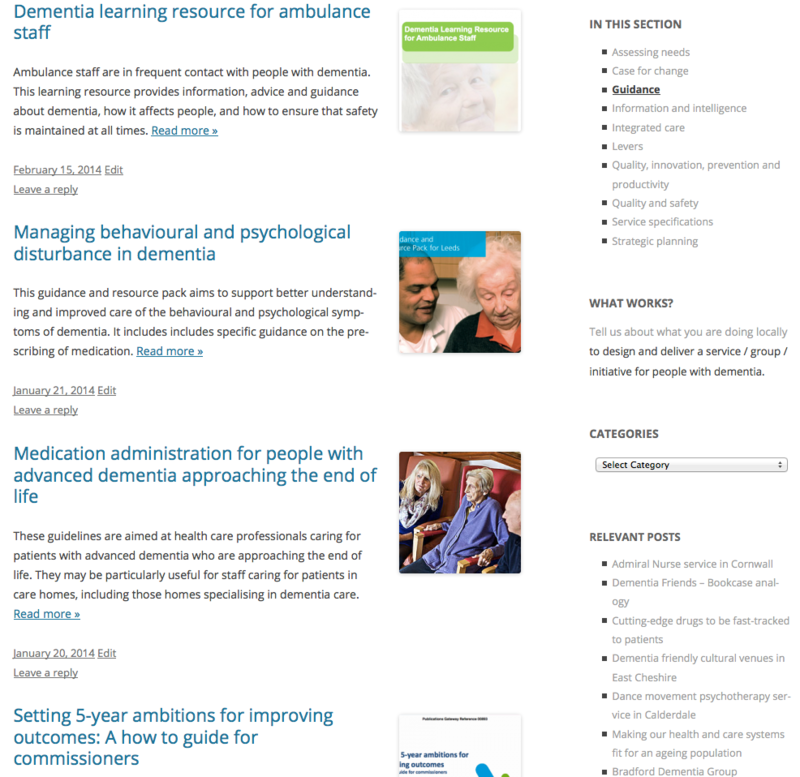 It offers a single point of access to curated summaries about the latest research, policy and practice developments as a vital component of improving and delivering dementia care. 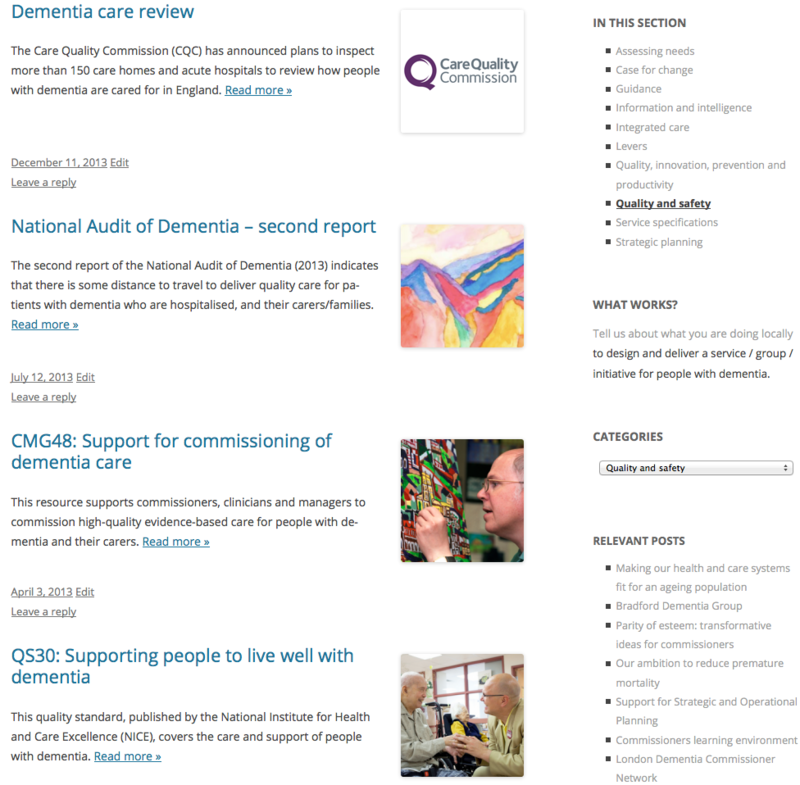 The knowledge portal is supported by dedicated knowledge managers whose role is to identify, summarise and organise information about ‘what works best’ in dementia. Curated information about ‘grey literature’, including publications from Government departments, think tanks, private, public and third sector organisations, sits alongside information about local initiatives and innovations that improve the health and wellbeing of local communities. 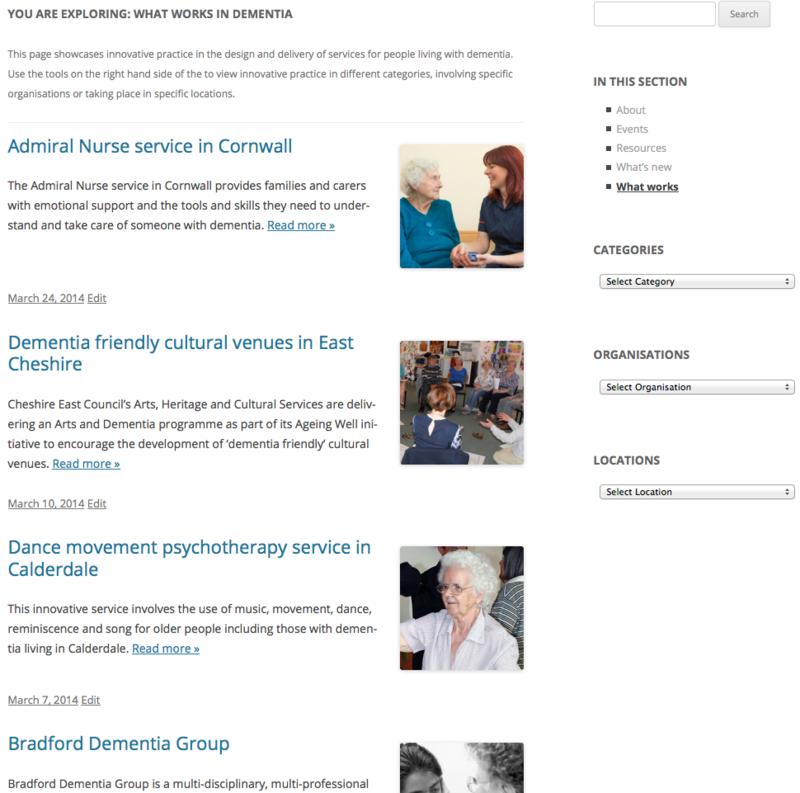 Dementia Partnerships contains a knowledgebase of local innovations showcasing what works best in dementia care. 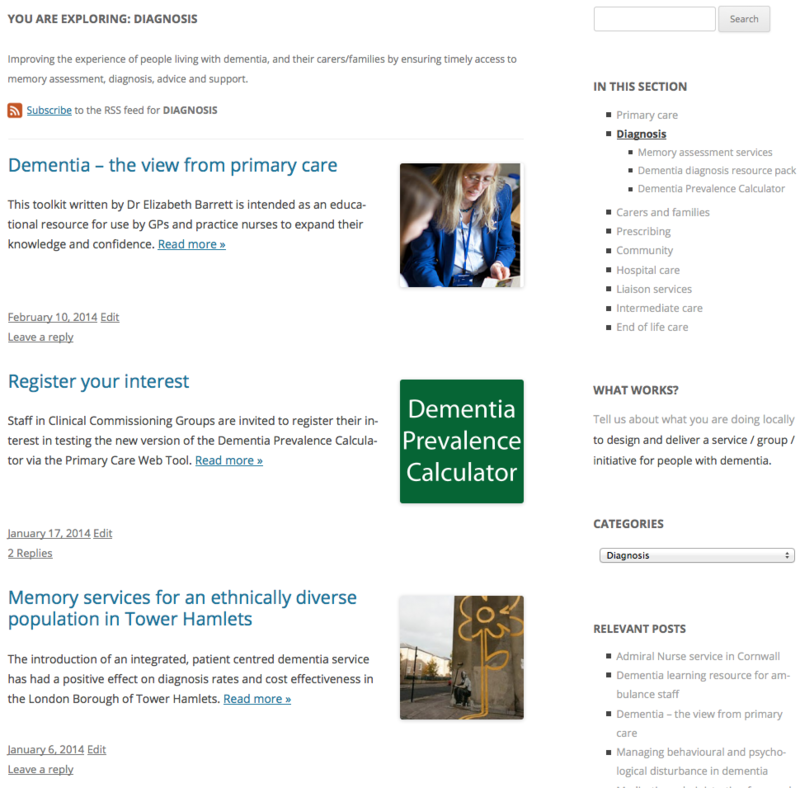 Users can explore and share information about innovative practice in the design and delivery of services that improve the health and wellbeing of local communities.